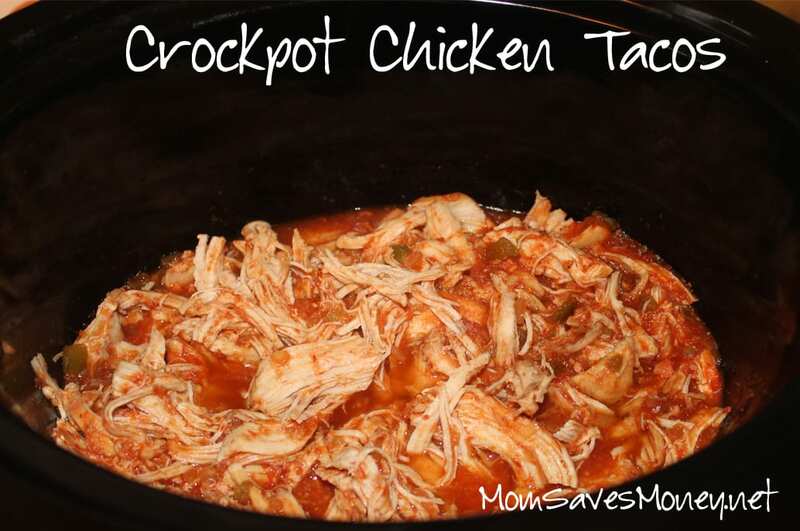 Recipe – 4-Ingredient Slow Cooker Chicken Taco Meat! I’m back with some menu ideas based upon what’s on sale this week! Did you pick up any pepperoni? Try a pepperoni roll – so easy and kids would think it’s great. Need some side dishes? Make a cheesy, gooey, bean dip with refried beans and cream cheese. Or roast some of those baby carrots. Need some desserts? Stop at Fareway for some canned pineapple and make a dump cake. Or use a box of brownie mix to make Brownie Cookies. Course, I would buy a bunch of Rice Krispies at Fareway and make Rice Krispie treats. I like to mix in ¾ of a bag of M&Ms! Did you pick up some Pace Salsa at Bakers this past week? It’s part of their Mega Sale! 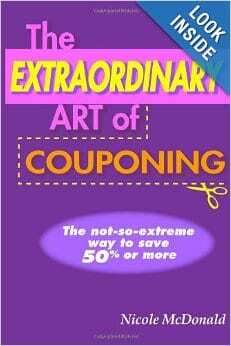 Since it’s still going on, you have time to pick some up. And if you do, might I recommend Chicken Tacos? Growing up, we always had beef tacos, but every once in a while, chicken is fun to do. And since there’s only two adults and one toddler eating at our house, a batch of these gets us four meals (each!). We usually get a couple of dinners out of them, a lunch for me, then I’ll freeze the rest for a later date. Sometimes, I’ll use some of the leftover chicken to make Quesadillas or Enchiladas. Otherwise, you just get tired of tacos! 1. 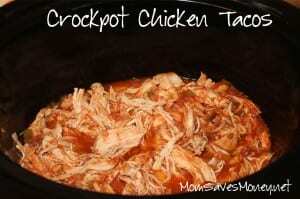 Coat your crockpot with cooking spray. 2. Put your chicken in the crockpot. 3. Dump the salsa on top. 4. Dump the lime juice on top (if using). 5. Dump the taco seasoning on top (if using). 6. Cook on low until chicken is mostly done. Should take about 4 hours if the chicken was defrosted. Might take up to 6 hours if chicken was frozen. 7. Shortly before serving, use 2 forks to pull apart the chicken. You can make the chunks as big or as little as you want. 8. Using a slotted spoon, remove from crockpot and place into shells. When I freeze the leftovers, I just put them into a freezer baggie, label it (don’t forget the date!) and put it on top of a flat cookie sheet in the freezer. After a couple of hours, it’s frozen flat, so that I can stash it away in the freezer for some other day.